Almost through of the first month of the year already. 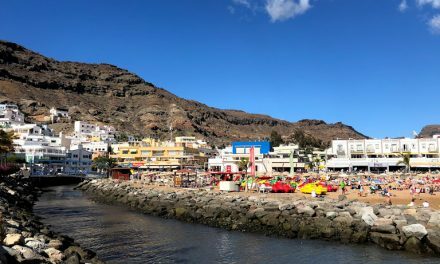 Weather predictions are showing changeable skies at least until Saturday with a possibility of rain across the island, even in the almost perpetually sunny south, but nothing heavy and Sunday looks much more promising indeed for the whole of Gran Canaria. 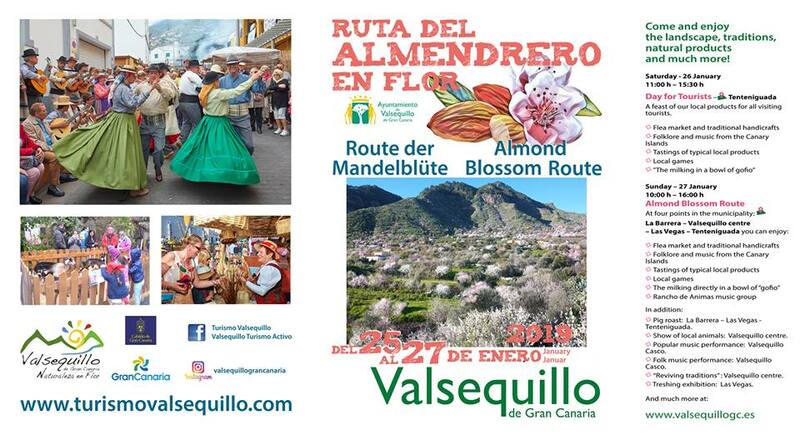 The ever popular almond blossom festival this weekend centre’s around the mountain villages of Tenteniguada and Valsequillo, just a short 15 minute drive inland from Telde. There is also a big Pet Fair in Las Palmas, Flower Power celebrations in Arguineguin as well as historic cars cruising around on Saturday, snails to be enjoyed in Agüimes and much more besides… here are some of our selected highlights for you to enjoy for this last weekend in January! 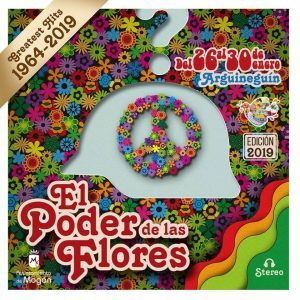 The town hall of Mogán is celebrating a Day of Peace series of events between January 26-30 in Arguineguin with multiple community activities, that particularly gather the children and families of the municipality, themed within the scope of the project ‘The power of flowers. Peace, love and solidarity‘. 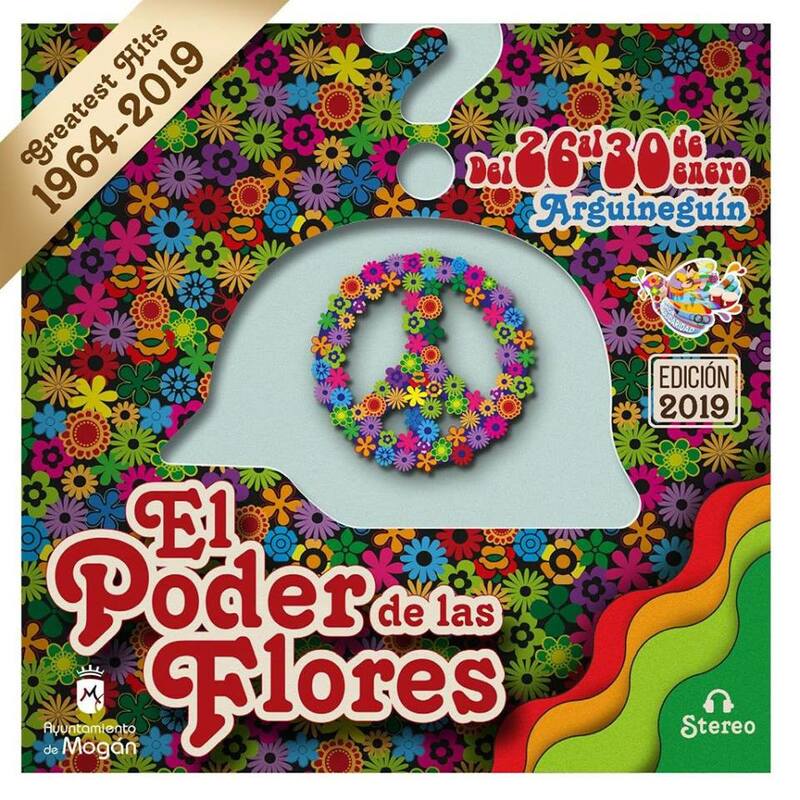 The 2019 edition of ”El Poder de las Flores” has an extensive program with free activities to commemorate the International Day of peace, held officially every 30th of January. 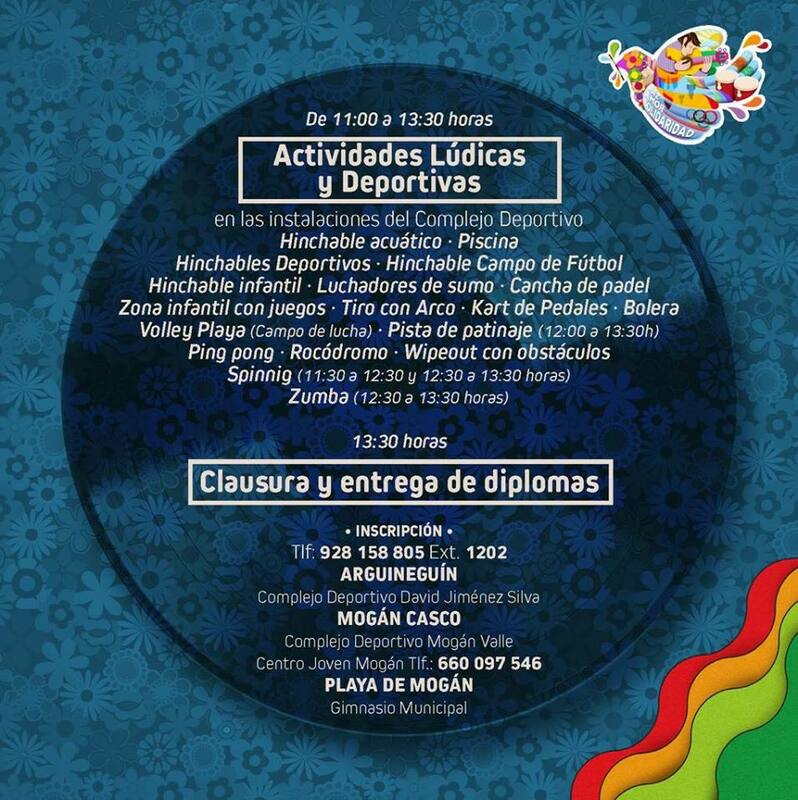 The program starts on Saturday at the Plaza Pérez Galdós, in the centre of Arguineguín, with a charity fair for NGOs (non-profit associations) from 17:00-21:00, with workshops, family games, an area for children up to 6 years of age, a photo call board called ‘Wall of Hugs’ and clowns who will act as ‘messengers of peace’. 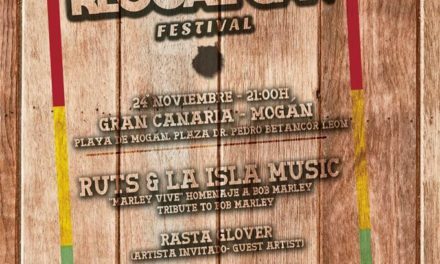 At 21:00 hours, music and performances will take in the Pérez Galdós square with a community festival. 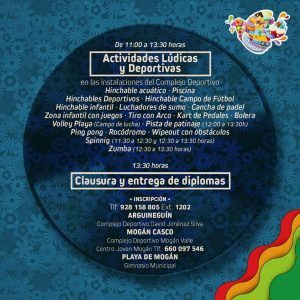 Sunday starts with a tour of an Olympics-styled solidarity torch, which will depart from Plaza de Pino Seco at 10:00 crossing through several points in Arguineguín, passed relay style between members of various local groups and sports clubs from around the municipality of Mogán. 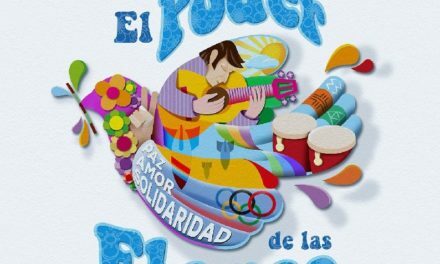 Arriving at the main David Jimenez Silva Sports Complex to light a flame of peace in a giant cauldron, the Manifesto for Peace will be read and multiple sports and leisure activities for the whole family will begin, gathered within the ‘Olympics for Peace’ initiative. 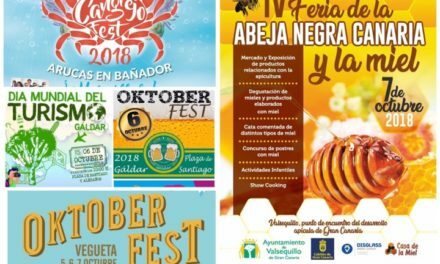 On Saturday, the 26th, in Tenteniguada, Tourism Day offers foreign visitors the chance to enjoy displays of folklore and handicrafts as well as tasting typical dishes such as the local stew or garbanzada. Visitors receive local information in their language via a stand where tourists also receive a small complimentary treat. The festival starts at 10:30, with the opening of the market and stalls. 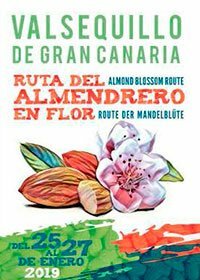 On Sunday, the 27th, the main festival day as part of the almond blossom route where popular cuisine is the protagonist of the day. The day starts 10:30 with opening of the stands. The Route of the Almond Blossom. 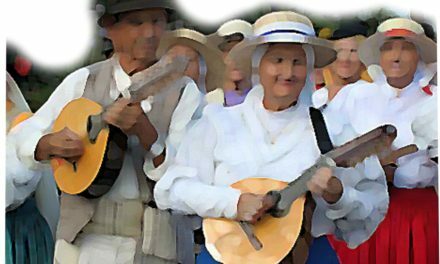 one of the most traditional celebrations in the Canary Islands, is on this weekend throughout the rural municipality located in the east-north-eastern mountain sides of Gran Canaria, about 20 minutes drive up from Telde, or a half hour bus ride. 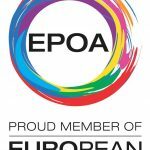 The events run from 10:00-16:00 in the main town and many surrounding villages. 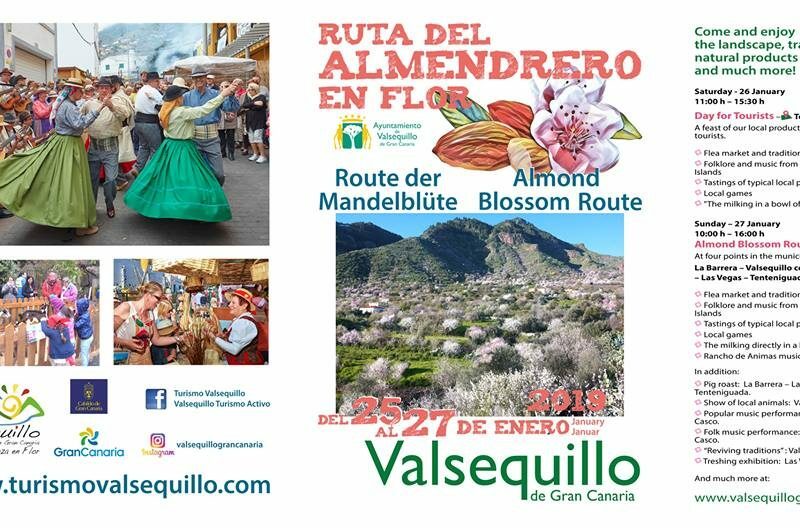 During this weekend Valsequillo quadruples its population on a route in which more than 20 folkloric groups participate and a total of about 239 craft and gastronomy stands will be installed. 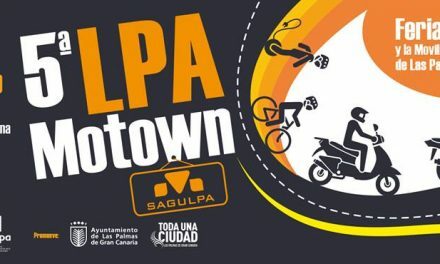 The route takes place simultaneously in the neighborhoods of La Barrera, El Casco, Las Vegas and Tenteniguada, where one can enjoy agricultural markets, tastings, taifa dance, folklore, performances and much more. 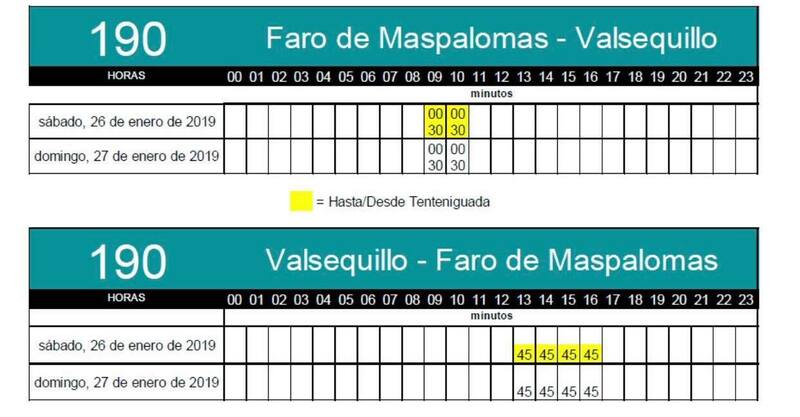 Special bus fare : Global buses will have a special one-way fare and return from Las Palmas with €2.50 during Saturday and Sunday. Bus trips from San Mateo, Telde and Tenteniguada will also be available at €1,00. Global bus company will operate around 50 extraordinary expeditions, in a measure that seeks to encourage the use of public transport to avoid traffic jams. 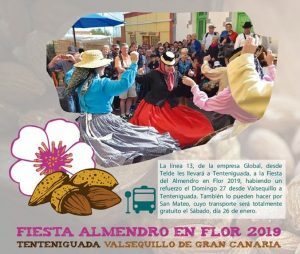 The sale of the cards and tickets will be made in the offices of the San Telmo station for travellers from Las Palmas de Gran Canaria and aboard the buses with a round-trip ticket for passengers travelling from San Mateo, Telde and Tenteniguada and also for those travelling from Las Palmas de Gran Canaria. 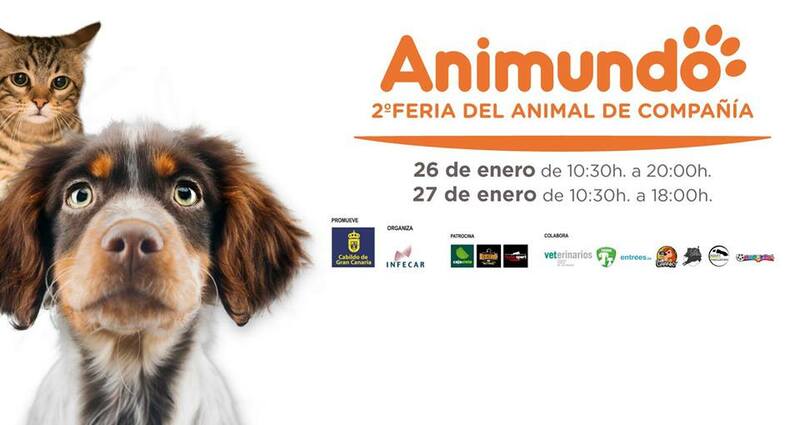 Animundo, the Gran Canaria Pet Fair, an event designed to promote health, care, welfare as well as respectful and responsible ownership of pets. 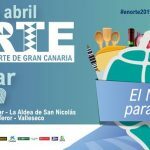 On January 26 and 27 the second edition returns to #INFECAR, located in Las Palmas de Gran Canaria where professionals, families and animal lovers can find in the same space, activities, information, workshops, training, exhibitions and the latest trends in products for care of companion animals. 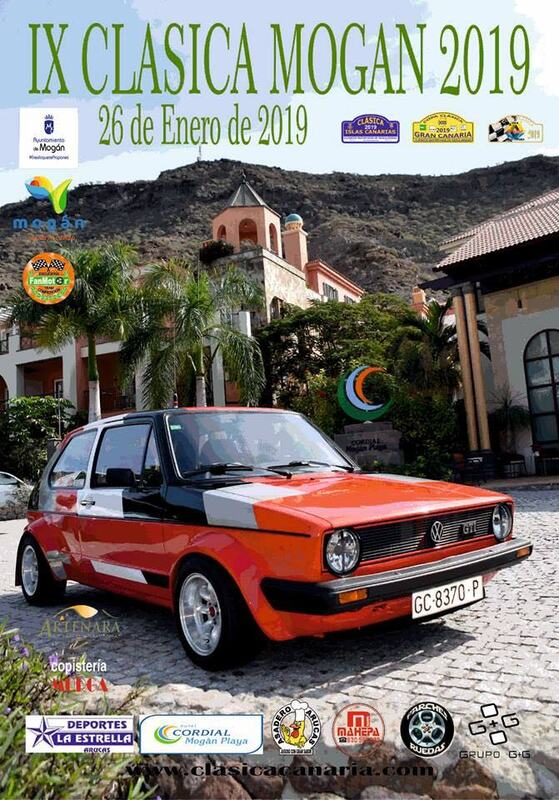 The 9th edition of Mogán classic rally on Saturday will depart and finish at Paseo de Los Marrero in Puerto de Mogán. 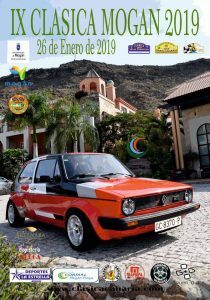 IX Clásica de Mogán is a regularity event for historic vehicles ( 25 years old and more ) and first scoring round of the regional championship of the XVI Canarias Islands Classic 2019 and of the XIII Classic Cup Gran Canaria 2019 . The 2019 edition, as usual, will present a totally linear route, taking place in two sections separated by a long stop at Artenara for lunch. It will have a first section that will take place between 12:00 and 13:45, covering 62,011 km, divided into three sections of regularity. The second part of the itinerary comprises another eight sections with a total of 118.338 km that will complete the 180+ km. total, of which 153.5 km are regular (85%), which will start at 15:15 to arrive at 18:40 again at the port of Mogán for a toast to the drivers. 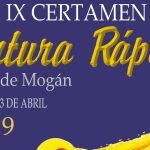 At 19:45 the trophies will be handed out, both from the Clásico de Mogán and the Gran Canaria Classic Cup and from the Canary Islands 2018 Classic. 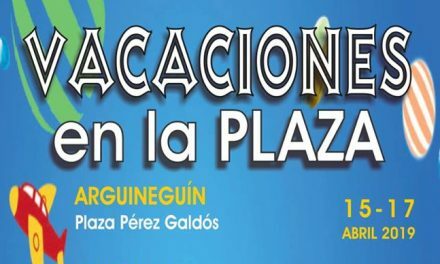 The Cordial Mogán Valle Hotel and the Paseo de los Marrero in Puerto de Mogán will be the official headquarters, departure point and final arrival of the classic, which will take place between 10:00 a.m. with the beginning of the verifications and end at 19:45 with the delivery of trophies. New season of #Musicando, a free outdoor concert series for all to enjoy. 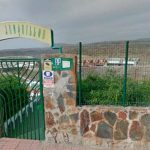 Starting from 26 of January 2019 at Parque Doramas in Las Palmas. All concerts start at 21:00 and are with free entry until seats full. 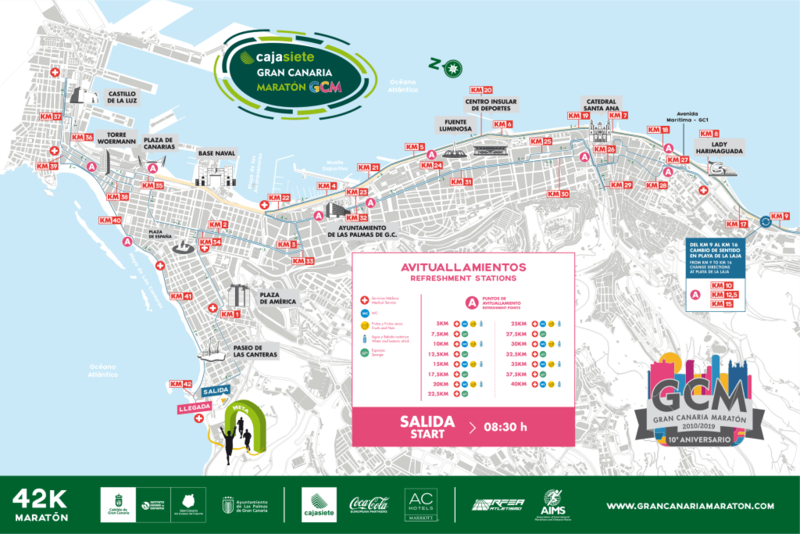 The biggest running event in The Canary Islands, the 10th edition of the Cajasiete Gran Canaria Marathon will take place on Sunday. For the third consecutive year, the circuit will be a single lap. 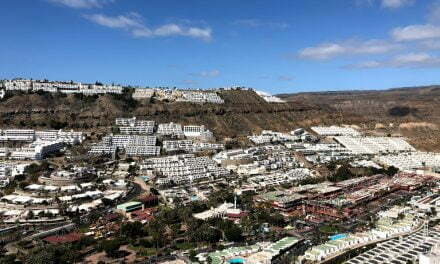 The Cajasiete Gran Canaria Marathon 2019 will be a special edition test as part of the Reina route through the Archipelago. The tenth season will have about 11,000 athletes competing in all the races, 42K, 21K, 10K, and a novelty this year is the first 3K institutes, where schools can also send teams to compete as well as the 3k Accessible (which was held on the 20th of January). On Saturday the 26th there is the Island Mini Marathon of the Cajasiete Gran Canaria Marathon 2019- race for the children. 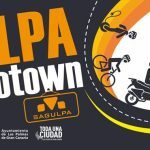 The event will take place in the Plaza de la Música, in the vicinity of the Alfredo Kraus Auditorium, and the race will start at 10:30am. Remember, when there is a sporting event happening it also means road closures in the area. 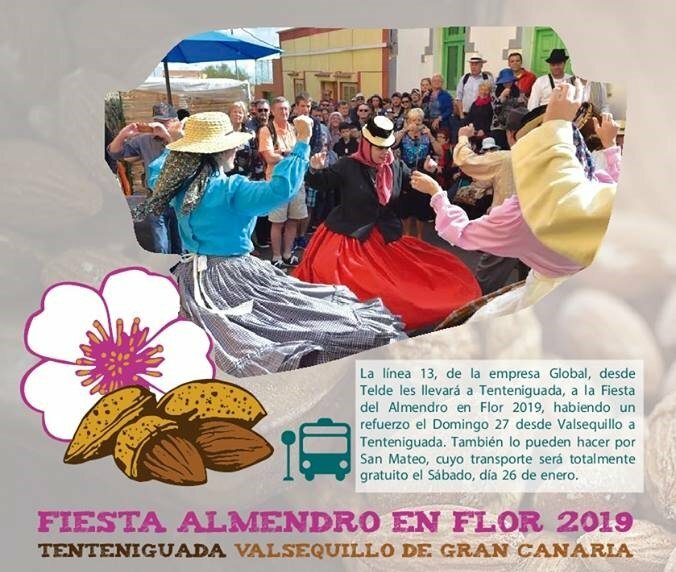 Agüimes celebrates on Sunday, the eighth edition of the snail fiesta, whose objective is to promote the consumption of a product that in this municipality has always been linked to the winter period. 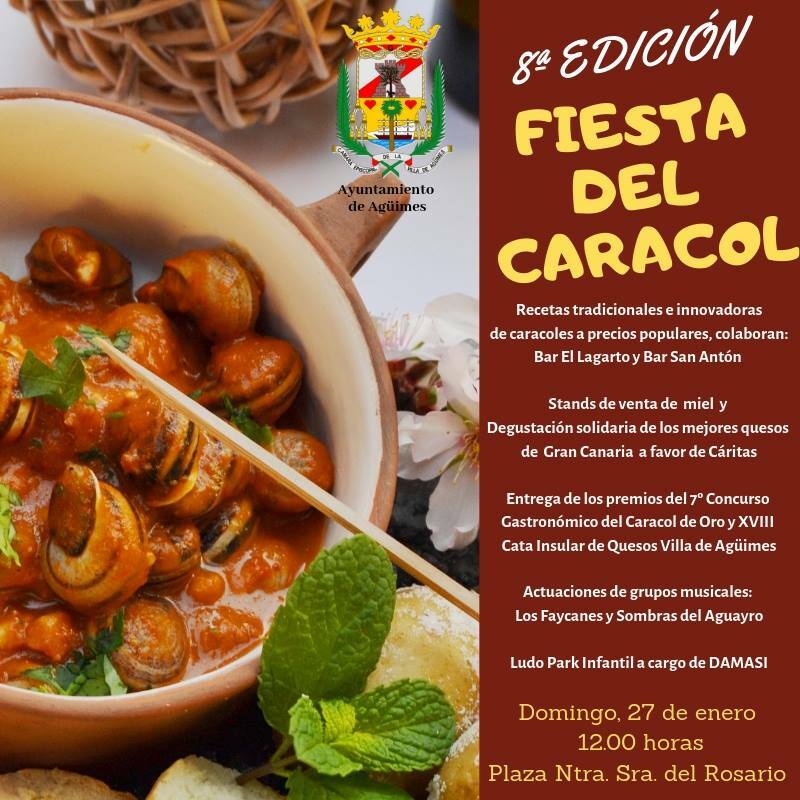 During the Fiesta, starting at 12:00 in the Plaza de Nuestra Señora del Rosario, the winning recipes of the VII Gastronomic Contest “El Caracol de Oro” will be announced and the prizes will be handed out. of the XVIII Tasting Tasting Insular Villa de Agüimes. 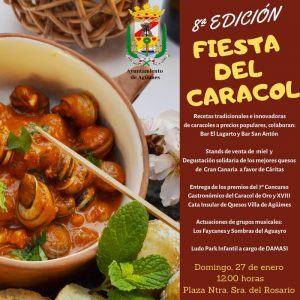 In this activity professionals from the Agüimes restoration will participate, who will elaborate traditional and innovative recipes based on snails that can be tasted. You can also taste the best cheeses and honey from Gran Canaria, all at popular prices. 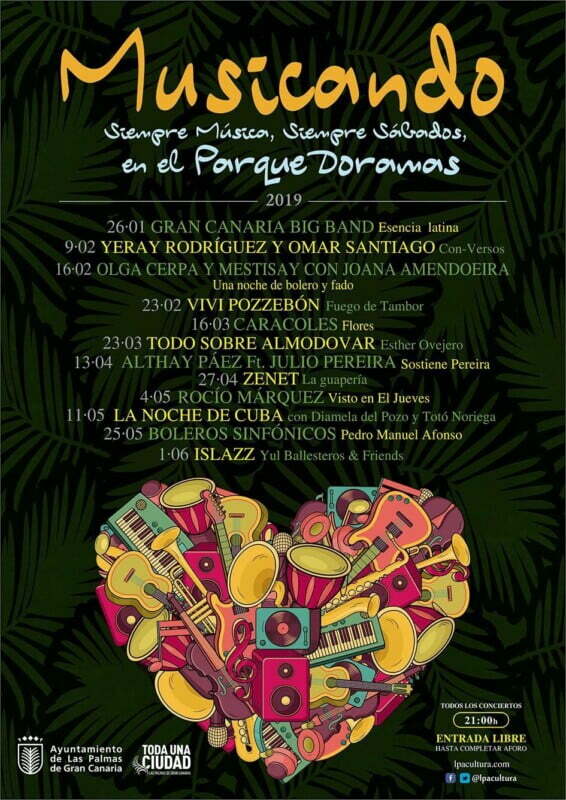 The VIII Fiesta del Caracol will be enlivened by the performances of the popular music groups “Los Faycanes” and “Sombras del Aguayro”. In addition, the smallest of the house will be able to enjoy, from 11:00 am, a play area for children. Without a doubt, people who love the snail have an obligatory appointment on Sunday, January 27, in the municipality of Agüimes.